Eid al-Fitr will be on TBC. 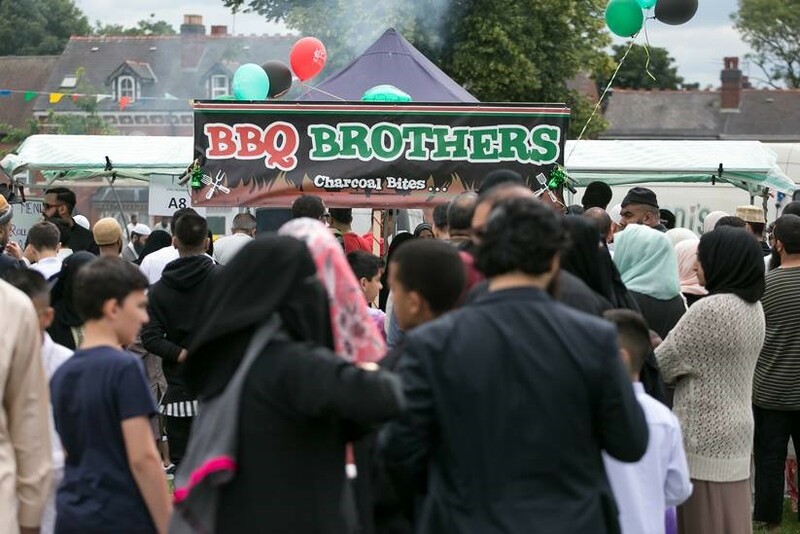 Celebrate Eid 2019 once again is coming to Small Heath Park…get ready to be amazed! 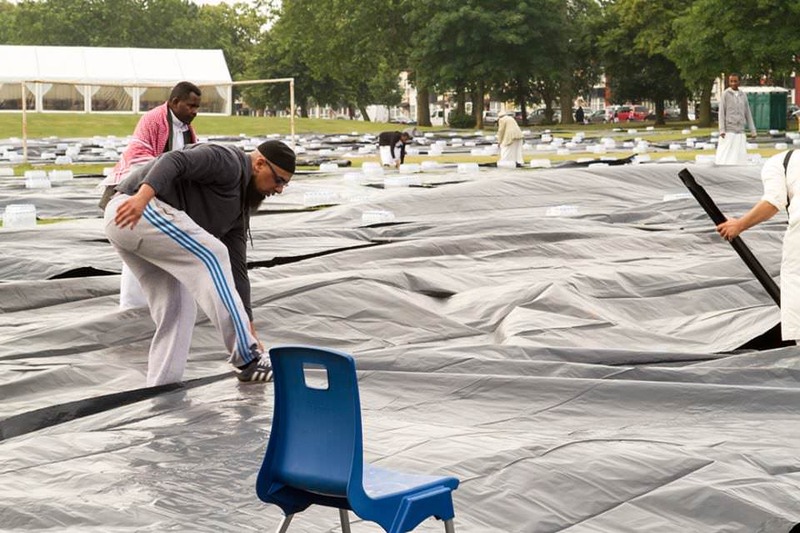 Green Lane Masjid and Community Centre has been hosting Salat al Eid outdoors since 2012. 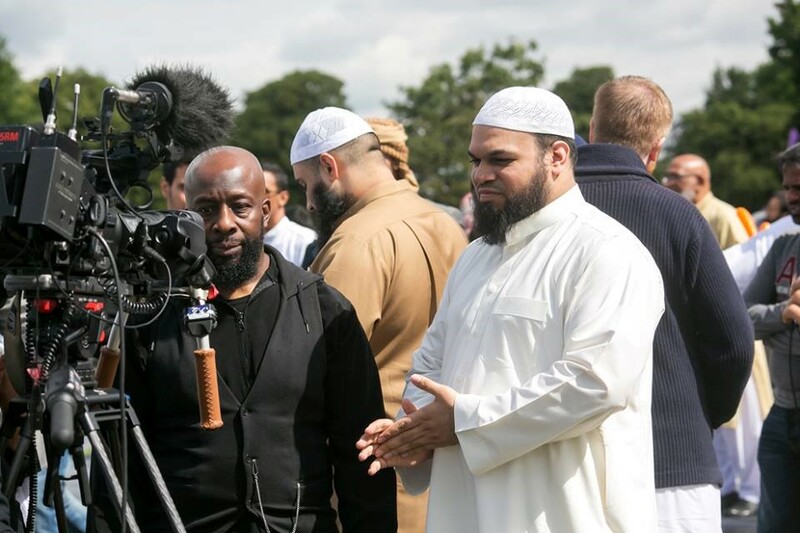 2014 saw the birth of Celebrate Eid, a committee of five local Masjids joining together in order to unite the Muslim community in a single congregation to perform the Eid salah and then to launch an Eid celebration for all to enjoy throughout the special day of Eid. The festivities, following on from an amazing prayer, really and truly brought back the concept of a community Eid. 2014 left us surprised by the sheer number of people, over 44,000 attended Eid prayer and over 5,000 people attended the festivities. The vision of Eid was beyond our planning; it was only by the grace and favour of Allah (SWT) that such an occasion took place here in Birmingham. 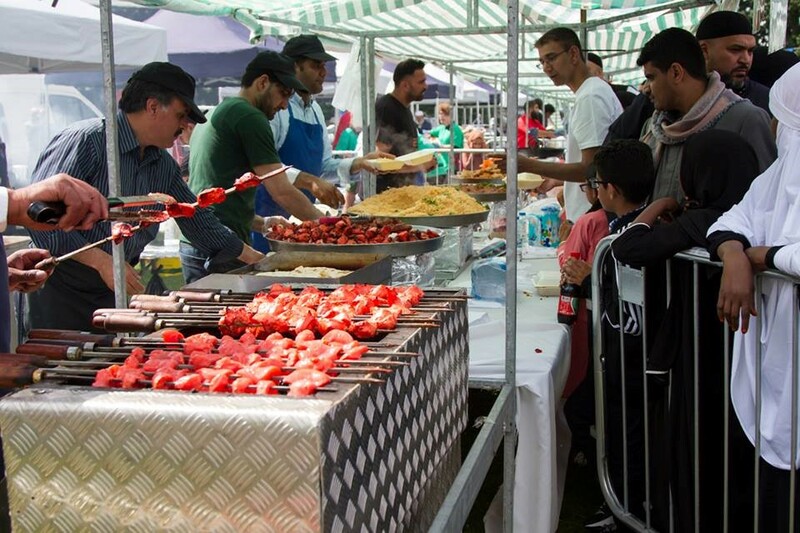 Eid in the Park 2015 humbled us as the organisers and thrilled the community. A sea of over 65,000 Muslims prayed in one congregation. Throughout the day and even after the closure of the activities, thousands of people were soaking up the sun and the atmosphere. Eid in the Park has revived a Sunnah which is focused on celebration and community. Eid in the park 2016 was bigger and better and saw more than 80,000 people pray together and enjoy the activities into the evening. 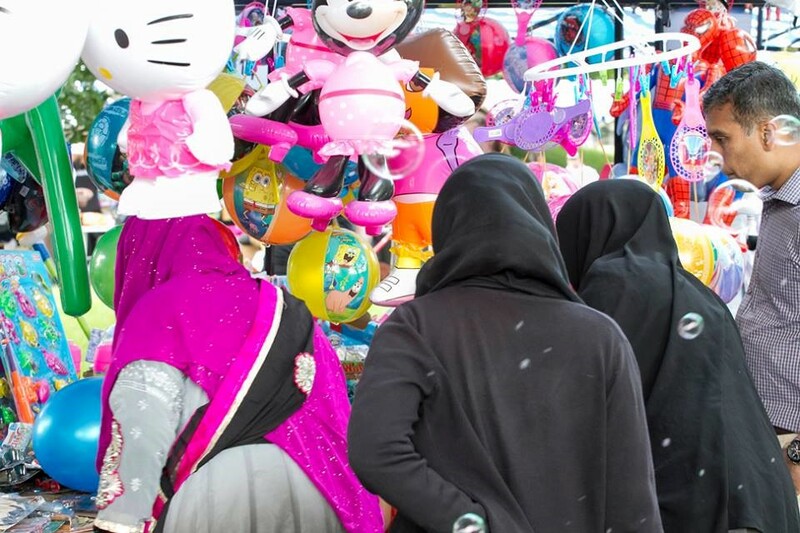 Eid in the Park has become an established event which has been circled into calendars for many Muslims who wait in anticipation for the spiritual joy experienced on such a blessed day. 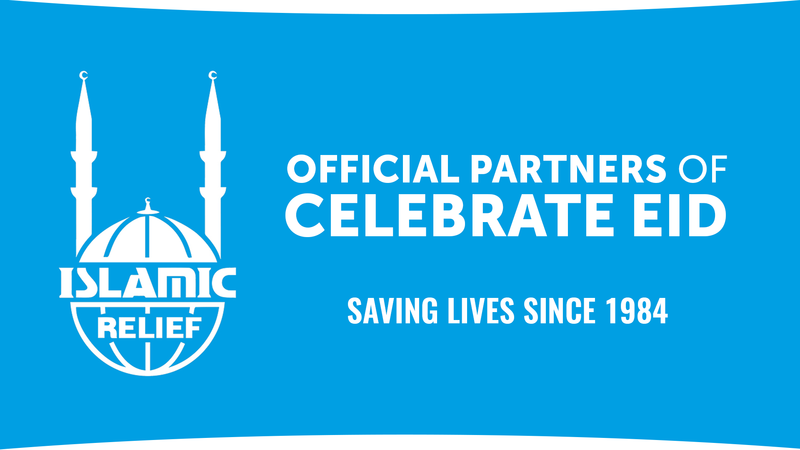 This year, Celebrate Eid has joined together again to facilitate Eid Salah and Eid festivities for the entire Community. Celebrate Eid 2017, Alhamdulillah, surpassed all expectations with an estimated attendance of over 100,000 people. Muslims & non-Muslims from all over the UK, Europe and even as far out as Canada made the event one of Birmingham’s biggest celebration. The 2018 event continued to amaze with a record ~140,000 people in attendance. We warmly welcome all members of our community, Muslim and non-Muslim, to enjoy the blessings and fun on this auspicious day. Date TBC @ Small Heath Park. Arrival will be at 8.00am & Prayer will be at 9.30am InshaAllah. Please arrive early, as the prayer will take place at the stated time. 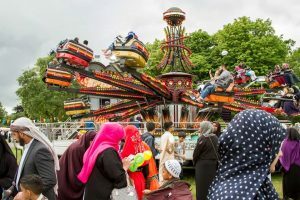 Celebrate Eid has returned to host … Eid in the Park 2019! Let’s perform the outdoor Eid prayer according to prophetic teachings…come and join us on one day, at one location, as one community in Small Heath Park. As took place at Eid al-Adha 2018, the prayer WILL start on time so please be on time or risk missing the prayer. Celebrate Eid has come together once again. We witnessed one of the biggest Eid gatherings in the UK and Europe with over 100,000 Muslims praying Eid salah together. Celebrate Eid has come together once again. 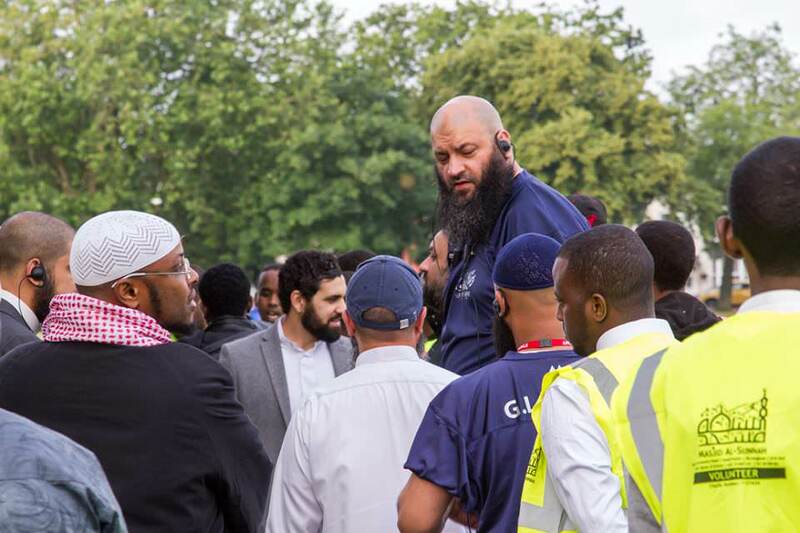 We witnessed one of the biggest Eid gatherings in the UK and Europe with over 100,000 Muslims praying Eid prayer together. Eid in the Park 2019 is giving you a whole day of fun for the entire family. So come along, relax and spend the day with us. Soft play area – bouncy castles, assault courses, sumo suits and a ball pool for the little ones! All activities will be running until 6.00 pm. Please arrive in good time as Eid Salah will be performed at 9.30am. Khutbah will follow as per Eid day Sunnah. Please remain seated and benefit from the reminder. 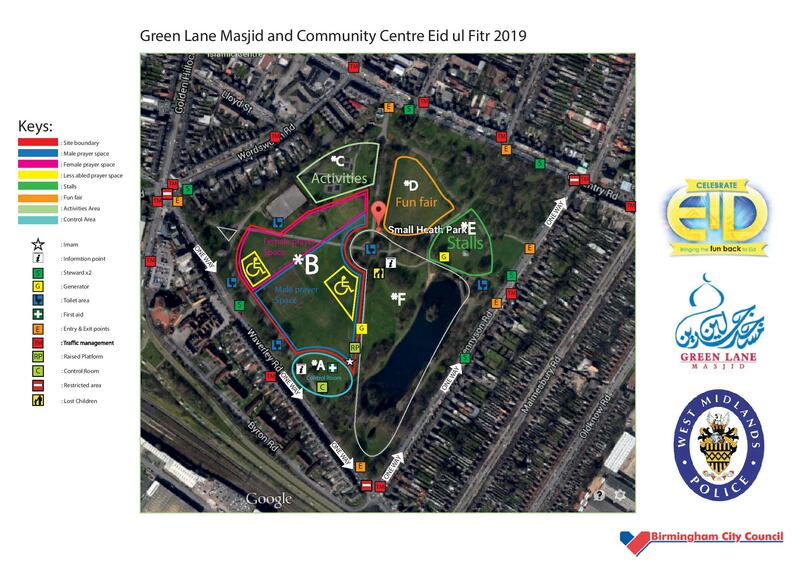 In order to ease parking worries, Celebrate Eid will this year be having a Park & Ride & Shuttle Bus service to Small Heath Park. 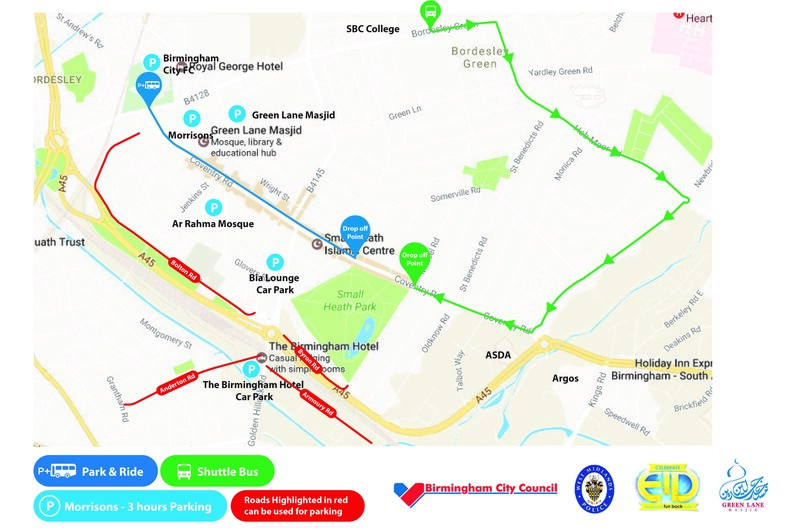 Attendees can park at Birmingham City Football Ground and a Park & Ride service will drop off outside Small Heath Park. Shuttle Buses will also be running from outside South Birmingham College, again dropping off outside Small Heath Park inshaAllah. Please see the map below for routes the service will take. To limit congestion in and around Small Heath Park, we encourage attendees to make use of these services wherever possible. The Sunnah of our Prophet (ﷺ) was to walk to the Eid prayer. Remember, every step you take towards salah is treated as worship, so if you live in Small Heath then why not carry out this blessed Sunnah? For those who live further afield, please be mindful that there is limited parking. Small Heath Train Station 2 minute walk from Small Heath Park. Taxi and private hire – there are many taxi and private hire services in Birmingham. If you come by car remember that there is limited parking so please set off early. In previous years the Salah has been delayed because people can’t find parking. 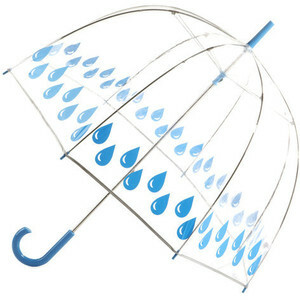 So to help you, the Traffic Management Team will be managing the flow of traffic. A one-way system will be in operation from 7.00am until 6.00pm on Waverley Road and Tennyson Road. This means that you can only enter from Waverley onto Tennyson Road and from Tennyson Road onto Coventry Road. Please respect the traffic management operators. We’ll try our best to keep vehicles moving without getting stuck in a traffic jam. All of these car parks are within 1 mile of Small Heath Park. Would you like to be part of the Eid in the Park 2019 experience? It’s our Eid so why not pitch in? Site Support – come and experience for yourself how we build the park into a carnival. Help us put up the banners, the decorations, the stalls, setup up the various stations, and roll out the prayer mats. Fun fair – make sure that people are having fun! Activities – show people where to go and don’t forget to have your turn! First Aid – maybe you’re a trained first aider, or a qualified professional in the medical field? Why not be on stand-by in case we need any extra help? If you’ve got experience, then brilliant. If not, don’t let that stop you. We’ll give you the training that you need to help make this Eid very special. You don’t need to work one long shift. We will have many teams throughout the day. Maybe you can only do the morning, or only after Eid Salah, or maybe you’re free in the evening? Whatever help you want to give for the sake of Allah (subhanahu wa ta’ala) – we’re happy to receive it.